From raising chickens to tackling the world's biggest men to dancing for the nation, it seems there is nothing Von Miller can't do. And now, he's adding the revered title of Old Spice guy to his résumé. 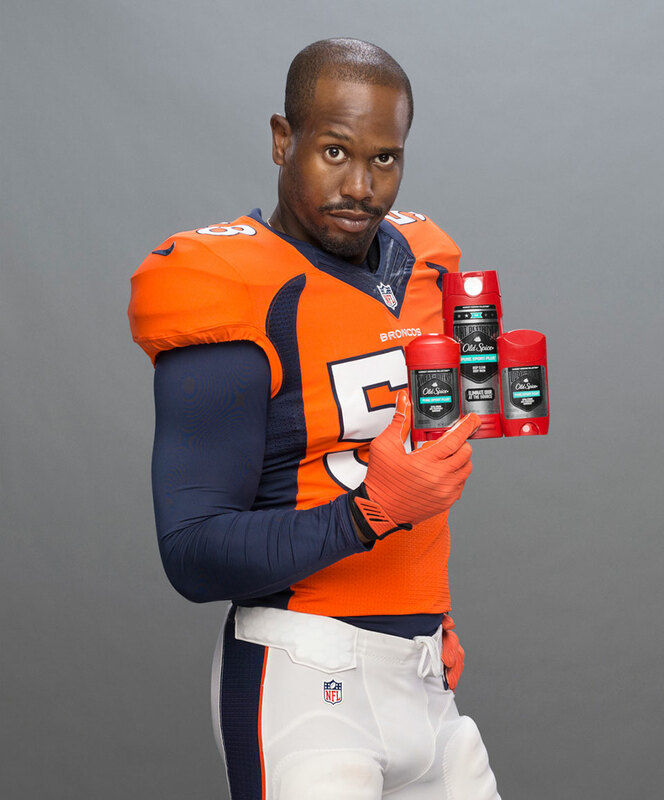 Procter & Gamble today announced that the Denver Broncos linebacker and Super Bowl 50 MVP will be the face of Old Spice for the 2016 season. He will promote the brand's Hardest Working Collection. The first creative will be here early in the season, the brand tells AdFreak. For now, you'll just have to enjoy these two photos. "Between winning the Super Bowl, solidifying my status with the Broncos and being named the newest Old Spice guy, 2016 is shaping up to be quite a year," Miller says in a statement. "I've had my favorite Old Spice scents for a long time, and I only trust the Hardest Working Collection to give me a deep clean after practices and keep me smelling fresh on and off the field. There's a reason you find Old Spice in every team's locker room." In a release, Old Spice called the 27-year-old former Texas A&M star as "a perfect fit" for the brand, citing not only his on-field successes but his colorful personality and pastimes, including his proven ability to "successfully raise chickens, devour the latest scientific and natural curiosities, plus display amazing dance moves on television and in the backfield, all while marching to his own fashion and style beat." "We're excited to welcome Von, one of the NFL's top-performing players and unique personalities, to the Old Spice family," says Janine Miletic, Old Spice brand director at Procter & Gamble. 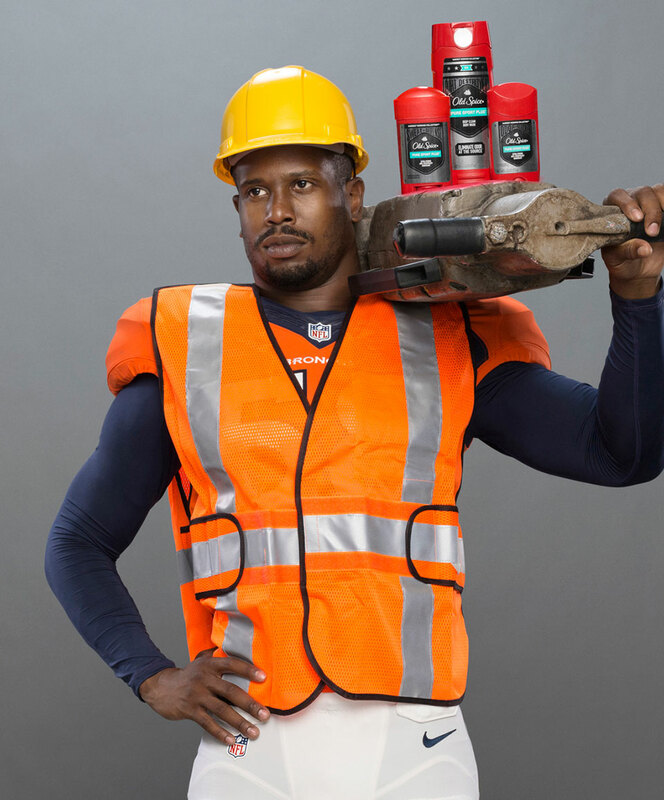 "Von's engaging, humorous demeanor and hardworking on-field performance align perfectly with our ridiculously masculine brand and the performance of our Hardest Working Collection combining our most popular scents with our most powerful sweat and odor protection and deep cleansing body washes."